You don’t need to have a fortune sitting in your bank account to enjoy everything that Las Vegas has to offer. And you don’t need to be into gambling or casinos either. In fact, there is an abundance of crazy cool things you can do there that cost less than $50 USD each. We kid you not. So to help you get ready for your next impromptu trip to Vegas, we’ve rounded up nine things you can do there that won’t burn a hole in your pocket. 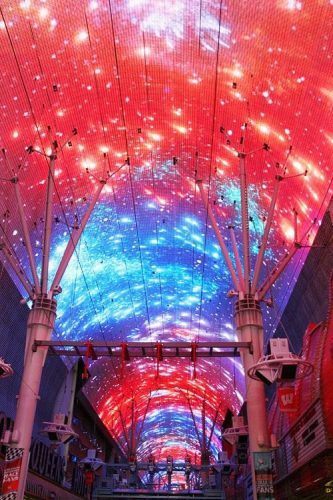 Take in the sights of Downtown Las Vegas from a new perspective –flying over Fremont Street. If you’re up for a thrill, this is the attraction you’ll want to get in on. It costs just $25 USD to take a ride on the lower zip line, where you’re sitting in an upright position, or $45 USD if you opt to ride on the upper zip line. Save $5 if you go before 6 pm. Do you have what it takes? 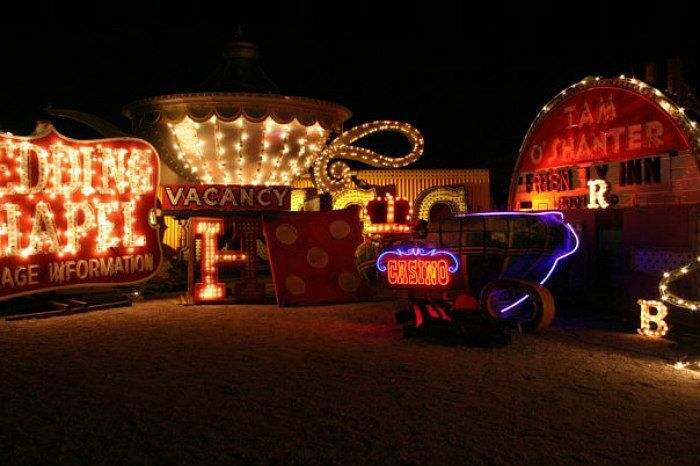 There’s so much more to this destination than meets the eye, and The Neon Museum is an excellent example. It is a non-profit that’s dedicated to collecting, preserving, studying, and then exhibiting iconic signs of Las Vegas for arts and cultural enrichment, educational, and historical purposes. It’s a super cool place to spend your day or night, and an hour-long guided tour costs less than $30 USD. If you’re in Vegas, taking a trip up on the High Roller is a must. 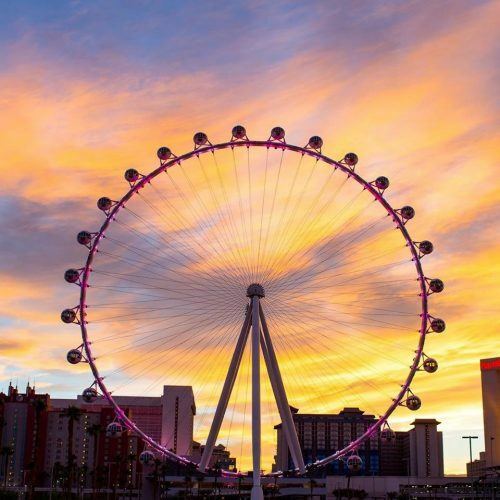 It’s an observation wheel that takes you soaring 550 feet above the center of the Strip, and it’s even taller than the London Eye and Singapore Flyer. While you’re on board the High Roller you can enjoy the comfort of a cabin and even a happy half hour open bar if you choose that ticket option ($35 USD). Online day tickets start at $22 USD and night time tickets start at $32 USD or $47 USD for the happy half hour. 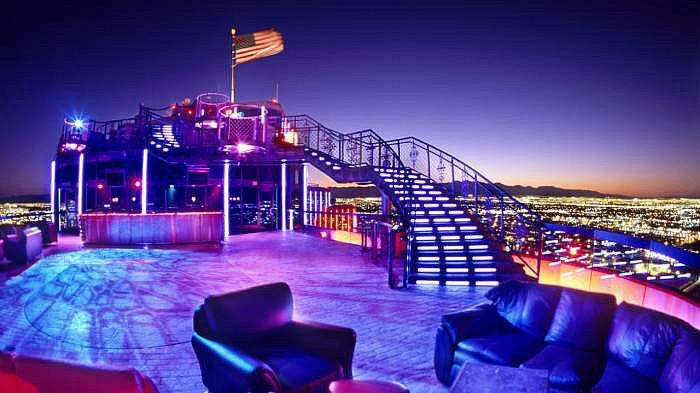 The glamourous VooDoo Rooftop Nightclub is located at the Rio All-Suite Resort and Casino and it offers a view from 51 stories high. It’s one of the best places in Las Vegas where you can enjoy a drink as you take in breathtaking vistas, and it only costs $10 USD for admission. 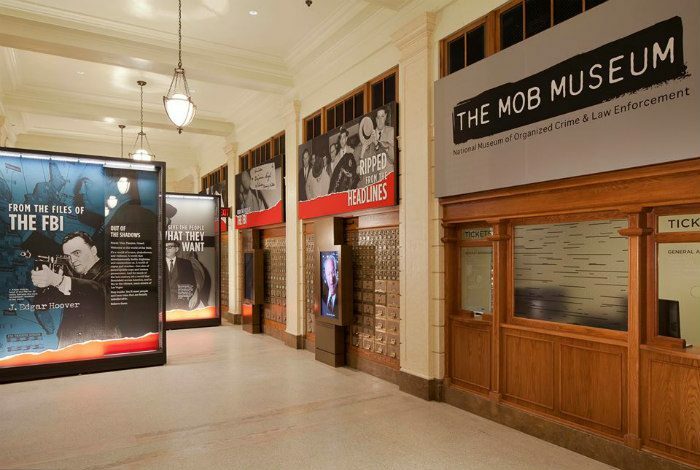 If you’re still salty over the end of The Sopranos, you’re going to want to check out The Mob Museum. It’s all based around real stories and actual events, and you’ll learn through interactive exhibits. The best part? You can snap up a general admission ticket online for just $20.95 USD. If there’s a celeb chef that knows what’s cookin’, it’s Gordon Ramsay. Now you can get a taste of his haute cuisine for less at his Fish and Chips eatery located in the LINQ Promenade on Las Vegas Boulevard. It’s a takeaway-style British restaurant, and you need to order Ramsay’s signature fish and chips there on your next visit. Honesty, you can’t get better than a celeb meal for less than $15 USD in one of the world’s most popular destinations. 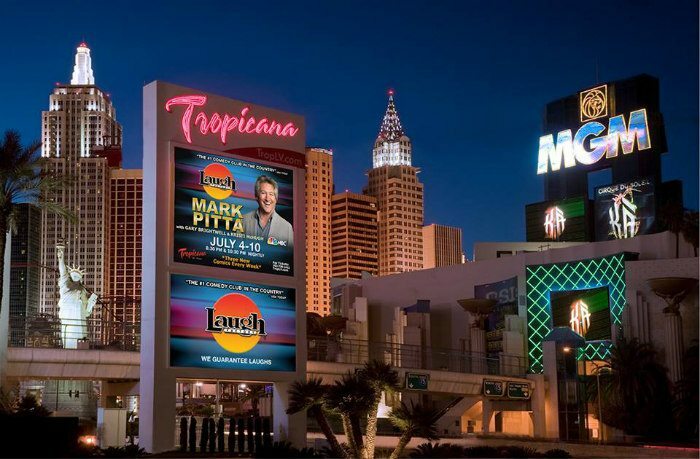 There’s nothing quite like a good laugh, and if you enjoy comedy you need to add a visit to the Laugh Factory to your Vegas bucket list. The best stand-up comedians in the city (and beyond) will have you laughing out loud until your sides hurt. Shows start at 8:30 pm, so don’t be that person who stumbles through the crowd after the show has started. 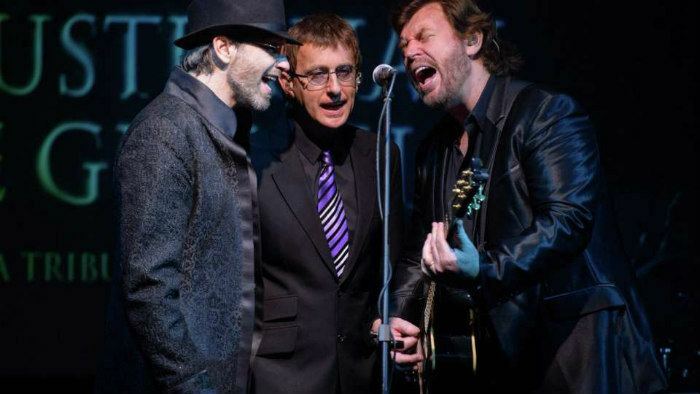 How deep is your love for the music of the Bee Gees? Now you can check out a tribute to the iconic group performed by an Australian group at The Excalibur Hotel and Casino. The musical trio will have you up and dancing to your favourite hits in their 75-minute multi-media concert event. You’ll hear the likes of ‘Staying Alive’, ‘You Should Be Dancing’, and so much more. 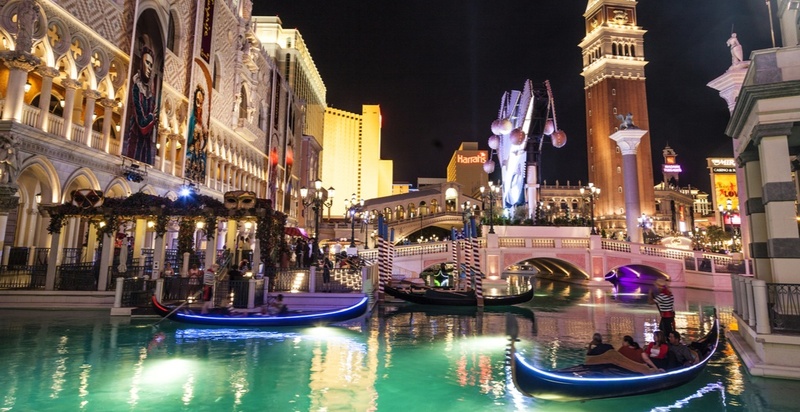 You don’t need to go to Europe to enjoy the romance of a gondola ride because you can take one in Las Vegas at The Venetian Resort Hotel & Casino. 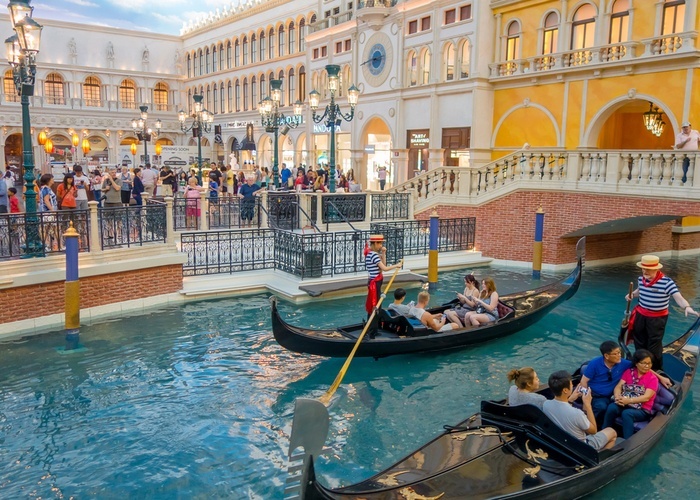 Delight in a magical ride through the mostthis magnificent model of Venice in Las Vegas, beneath bridges, beside cafes, and under balconies. Oh, and you might even get serenaded while you’re there. It costs just $29 USD per person to take a trip in a shared gondola with four seats. Now, you couldn’t pass that up, could you? To find out what’s hot and happening in Las Vegas and to plan your itinerary, check out Las Vegas on Twitter, Facebook, and Instagram.